The Greater Louisville Association of Realtors® (GLAR) reported sales down 1.8% year-to-date versus 2017, and the average price was up 5%. 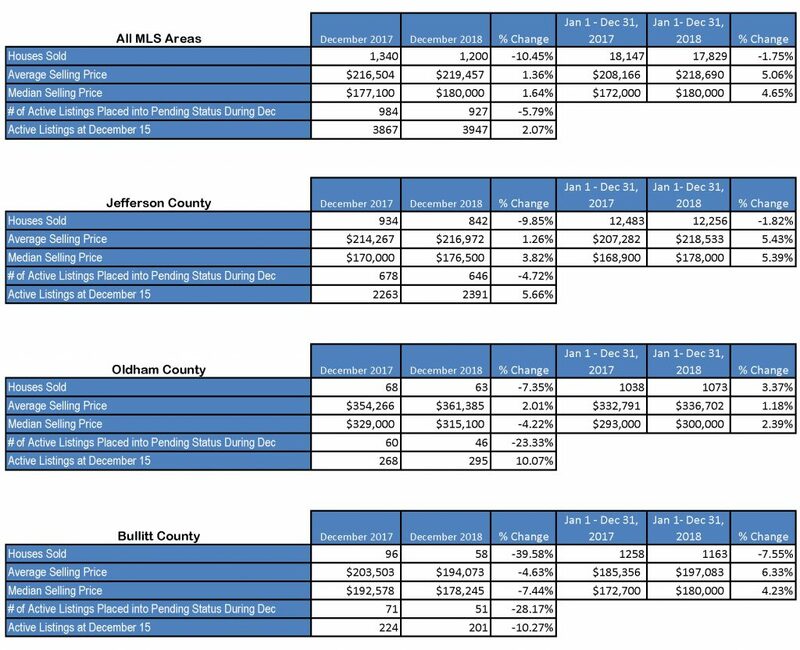 In Jefferson County, the average price in December was $216,972 and the median was $176,500. For all MLS areas, the inventory of available properties was 2.1% higher than at the same time last year. Look for more market statistics on LouisvilleRealtors.com.